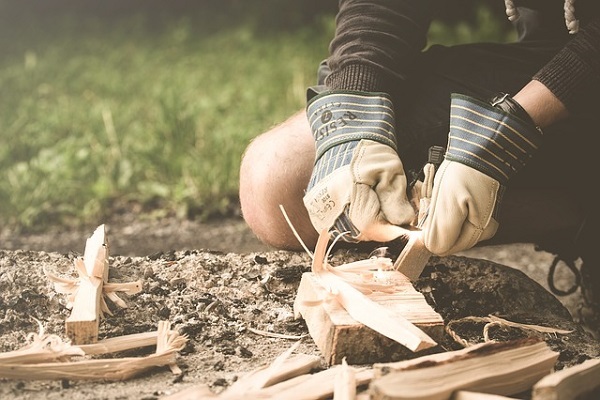 Bushcraft is an aspect of outdoor pursuits which is growing in popularity. It encompasses a number of different disciplines such as camp craft, survival skills, expeditions and canoeing. Bushcraft can help people relax, reduce stress and instil a sense of accomplishment and wellbeing. It also allows participants to get out in the open air and enjoy the company of others in very different surroundings. Delivered by our instructors at Kinnego Bushcraft Centre in Craigavon, this programme links in with the work of youth clubs, schools and the Youth Justice Agency and has a great influence and far-reaching effect in supporting young people. It provides opportunities throughout the year for some 4,700 young people from disadvantaged areas to participate in outdoor adventure, survival and learning experiences such as fishing and camping trips. or have mental health issues as a result of abuse. Our instructors also provide mentoring support to young offenders who clear up woodlands and pick litter as part of their community service. Both programmes demonstrate the importance we place on investing in young people, engaging with them in a meaningful way and helping them realise their full potential.